Zimbabwe’s current account deficit will widen by 0,8% by year end on the back of an increased foreign currency supply leading to higher imports, a leading industry and financial market analysis firm BMI Research has predicted. In its Africa Monitor Southern Africa report for June released last week, BMI Research said Zimbabwe’s current account deficit will widen in 2018 as an uptick in inward investment increases the supply of hard currency available to purchase imports. “We expect Zimbabwe’s current account to widen marginally in 2018 as the supply of hard currency from foreign investment circulating the economy increases. Higher investment inflows, amid signs of reform under new President Emmerson Mnangagwa, will drive demand for imports. Given that we believe investors’ re-engagement will remain tentative until the new government builds up a track record of implementing reform, the current account shortfall will remain low relative to recent years,” BMI Research said. BMI Research said they expected increased foreign investor and donor inflows to boost foreign currency liquidity in the economy, leading to increased import demand and a widening of the current account deficit. It said renewed confidence in the Mnangagwa-led government will see inflows likely to increase on bets that his government’s talk of reform will be put into action. “However, these inflows are likely to remain relatively small in magnitude until the government has built up a track record of reform implementation,” BMI Research said. BMI Research warned that the first test of the new government’s commitment to reform will be elections slated for the end of this month. In May, the central bank reported that the trade deficit for the first four months of the year had already hit $1 billion which is up compared to the comparative period last year. Experts say at this rate, the trade deficit will surpass $2 billion by year end. In 2017, the country’s trade deficit stood at $1,8 billion after imports shot up to $5,5 billion against exports of $3,7 billion. However, this was lower than the $2,3 billion recorded in the prior year. 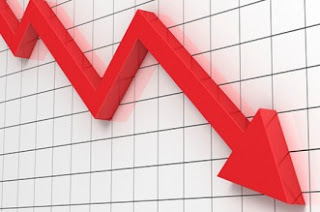 Last week, Africa Round Table chief executive officer Kipson Gundani said the economy was largely consumptive in nature due to lower earnings of individuals over the years and an almost non-existent savings culture. He added that this was increasing demand for imports and that it was not good for the economy since it represented negative trade. BMI Research said they believed Mnangagwa and his Zanu PF party were likely to hold on to power and that the economy would continue to stabilise as confidence returns. “As such, we expect the current account deficit to rise to 1,8% of gross domestic product in 2019 as foreign investment continues to rise, further stoking demand for imports,” BMI Research said.